In order to secure a top trucking job, you must start your trucking career somewhere. It's just like any other career path in that it's important to build experience and credibility in order to get where you want to go. That's why Driver Solutions specializes in working with inexperienced truck drivers to help them jump start their trucking careers. 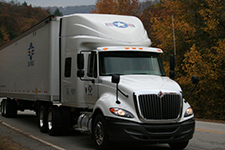 We do this primarily through our company sponsored CDL training program. In this program, a trucking company will cover your upfront tuition costs so you can attend trucking school and get great CDL training. You will be placed into a pre-arranged entry level trucking job opportunity BEFORE you attend training. At the end of the training, you will be obligated to drive for the company that sponsored you for a period of 1 year. This is a great way to begin building your professional driving experience quickly. After that first year, you will have a greater earnings potential, as well as more job opportunities in the trucking industry. To get your truck driver career started, just complete our online application. This will allow you to arrange a time to speak with a Driver Agent who will be happy to answer your questions.